The experiment, which is part of the European Space Agency’s (ESA) Meteron project, is preparing for human and robotic exploration of our solar system in partnership with NASA, DLR-The German Aerospace Center and the Russian space agency Roscosmos. Airbus’ Mars yard, in Stevenage, Hertfordshire, was built to develop the locomotion and navigation systems for ESA’s ExoMars rover and provides a realistic Mars-like environment to test systems. The experiment provided valuable data to assess the benefits of human involvement in a rover’s path planning. 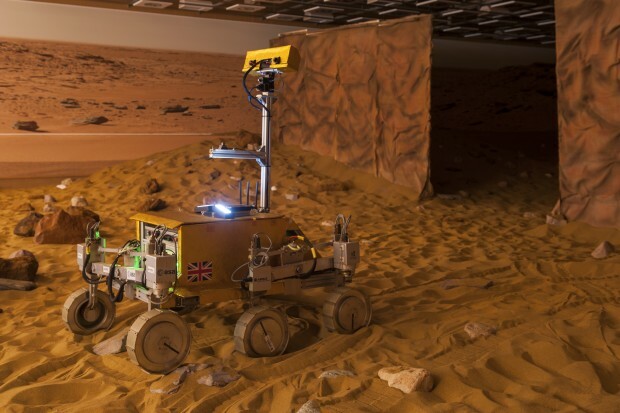 For more information on the UK Space Agency’s involvement in ExoMars please visit the UK Space Agency website or alternatively, check the Principia UK website.